Traumatic brain injury (TBI) is one of the leading causes of death worldwide in individuals under the age of 45. 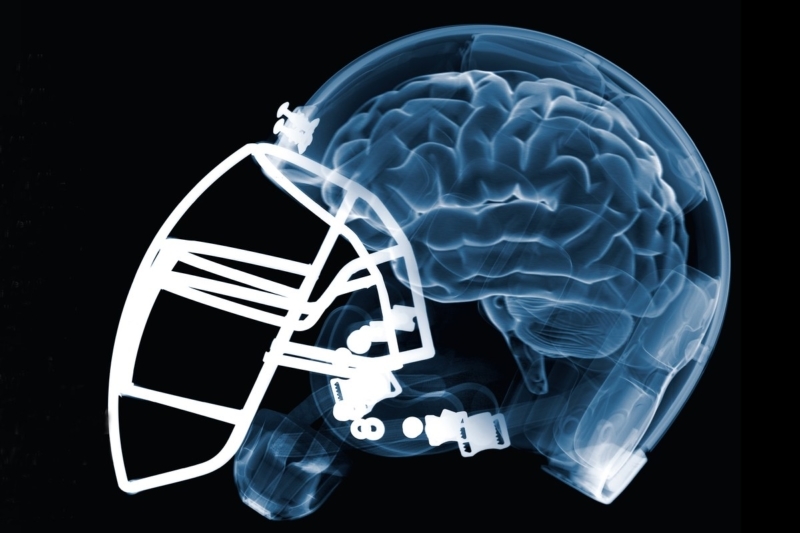 Triggered by concussions from car accidents, falls, violent contact sports, explosives or by gunshot and stab wounds, TBI affects 1.7 million Americans annually. It is the most commonly identified cause of epilepsy among adults. The social and economic costs of TBI are considerable given that many who survive severe head injuries suffer permanent behavioral and neurological impairment that adversely impacts learning and memory and often requires long term rehabilitation. An estimated 4 million to 6 million Americans are on disability because of TBI. Even so-called mild cases of TBI can result in post-traumatic seizures, refractory cognitive deficits, and lower life expectancy. Treatment modalities for TBI are limited with few satisfactory pharmaceutical options available. Surgical intervention, which entails the removal of parts of the skull to reduce intracranial pressure, is an emergency, life-saving measure, and the aftermath can be gruesome. But hope is on the horizon, thanks in part to U.S. government-sponsored scientific research – and to extensive anecdotal accounts from medical marijuana patients – which highlight the potential of cannabinoid-based therapies for TBI. Whereas TBI results from an external blow to the skull, a stroke is caused internally by an arterial blockage or rupture. But TBI and stroke share many of the same pathological features and aberrant molecular mechanisms. TBI and stroke are both acute and potentially lethal injuries, involving a primary ischemic insult that interrupts cerebral blood flow and destroys brain tissue. This is followed by a secondary injury cascade that, if unchecked, can ricochet for several weeks or months, resulting in more brain damage, motor impairment and other adverse “downstream” effects, such as poor concentration, irritability, and sleep problems. Whether the cause is an occluded blood vessel or blunt external force, the initial trauma triggers a complex sequence of molecular events characterized by the massive release of glutamate (an excitatory neurotransmitter) and the overproduction of reactive oxygen species (free radicals) and other inflammatory compounds. Excessive glutamate and oxidative stress, in turn, lead to microvascular injury, blood-brain barrier breakdown, swollen brain tissue, mitochondrial dysfunction, calcium ion imbalance, neurotoxicity and cell death. The secondary injury cascade is associated with the development of many of the neurological deficits observed after a TBIor a stroke. A 2014 article in American Surgeon examined how marijuana use affected people who suffered a traumatic brain injury. “A positive THC screen is associated with decreased mortality in adult patients sustaining TBI,” the study concluded. According to this noteworthy report by UCLA Medical Center scientists, TBI-afflicted individuals who consume marijuana are less likely to die and more likely to live longer than TBI patients who abstain. How does cannabis, and THC, in particular, confer neuroprotective effects? Plant cannabinoids such as THC and CBD mimic and augment the activity of endogenous cannabinoids that all mammals produce internally. Endogenous cannabinoids are part of the endocannabinoid system (ECS). The ECS regulates many physiological processes that are relevant to TBI, such as cerebral blood flow, inflammation, and neuroplasticity. THC activates the same receptors – with similar health-positive effects. CB1 receptors are concentrated in the mammalian brain and central nervous system. Preclinical research involving animal models of TBI and stroke has shown that heightened CB1 receptor transmission can limit harmful excitoxicity by inhibiting glutamate release. CB1 receptor activation also dilates blood vessels, thereby enhancing cerebral blood flow (and oxygen and nutrient supply to the brain). But these beneficial physiological changes were not evident in genetically-engineered “knock out” mice that lack CB1 receptors. Without these crucial receptors, an animal is less able to benefit from the neuroprotective properties of endogenous cannabinoids and plant cannabinoids. In 2002, the Journal of Neuroscience reported that the impact of induced cerebral ischemia is much more severe in CB1 knockout mice than in “wild type” mice with cannabinoid receptors. The absence of CB1 was shown to exacerbate TBI-related brain damage and cognitive deficits, indicating that cannabinoid receptors play an important role in neuroprotection. By manipulating cannabinoid receptors and other components of the endocannabinoid system with synthetic and plant-derived compounds, medical scientists have been able to reduce brain injury in animal experiments. But CB1 proved to be a tricky target. In 2013, the International Journal of Molecular Science reported on how TBI is affected by diurnal variations of the endocannabinoid system. It turns out that the recovery and survival rate of concussed lab rats is significantly higher if a TBI occurs at 1 am, when CB1 receptors are least robust, as compared to 1 pm, when CB1 receptor expression peaks. This finding was somewhat perplexing given the protective function of the endocannabinoid system against brain trauma. The ECS is a complex, front-line mediator of acute stress, and the pivotal role of the CB1 receptor is contingent on several variables, including time of day, the phase of the ischemic injury, and endocannabinoid concentrations in the brain. Small and large amounts of cannabinoid compounds produce opposite effects. After an initial infatuation with CB1, medical scientists shifted their attention to the CB2 receptor as a drug development target for treating TBI. The CB2 receptor modulates immune function and inflammation. It is expressed primarily in immune cells, metabolic tissue, and the peripheral nervous system. Preclinical research has shown that CB2 receptor signaling mitigates many of the molecular processes that underlie neuronal deterioration and cell death after TBI. In 2012, the Journal of Neuropsychiatric Researchreported that CB2 receptor activation attenuates blood-brain barrier damage in a rodent model of TBI. Two years later, the Journal of Neuroinflammation noted that the CB2 receptor is instrumental in regulating inflammation and neurovascular responses in the TBI-compromised brain. Genetic deletion of CB2 worsens the outcome of TBI in animal tests, underscoring CB2’s neuroprotective function. But why? For starters, preclinical models only partially reproduce a disease. And synthetic cannabinoids that target a single type of receptor only partially reproduce the multifunctional activities of endogenous cannabinoids and the broad spectrum profile of plant cannabinoids. It appears that an exogenous cannabinoid, either synthetic or plant-derived, may need to engage both CB1and CB2 (directly or indirectly) and perhaps other pathways, as well, to confer a clinically-relevant neuroprotective effect. A synthetic single bullet aimed at CB2 or another target is simply not as versatile or as effective as a whole plant synergistic shotgun or a multidimensional endogenous entourage. Cannabidiol is considered to be a promiscuous compound because it produces numerous effects through dozens of molecular pathways. Writing in 2017, Mayo Clinic neurologist Eugene L. Scharf noted that the scientific literature has identified more than 65 molecular targets of CBD. This versatile plant cannabinoid is highly active against brain ischemia, modulating many of the molecular and cellular hallmarks of TBI pathology. CBD has been shown to reduce brain damage and improve functional recovery in animal models of stroke and TBI. According to a 2010 report in the British Journal of Pharmacology, CBD normalizes post-ischemic heart arrhythmia and limits the size of damaged tissue when administered after a closed head injury. What’s more, CBD produces no intoxicating side effects, no THC-like high. And CBD use does not lead to tolerance. A damaged brain can be remarkably plastic, but there is only a circumscribed window of opportunity (the “platinum ten minutes” or “golden hour”) for therapeutic intervention to prevent, attenuate or delay the degenerative domino effect that occurs during a secondary injury cascade. Cannabidiol expands that window of opportunity. Researchers have learned that CBD can convey potent, long-lasting neuroprotection if given shortly before or as much as twelve hours after the onset of ischemia. Although it has little direct binding affinity for cannabinoid receptors, CBD confers neuroprotective effects and other benefits via several non-cannabinoid receptors. In 2016, scientists at the University of Nottingham (UK) reported that CBDprotects the blood-brain barrier from ischemia-induced oxygen and glucose deprivation by activating the 5-HT1A serotonin receptor and the PPAR-gamma nuclear receptor. CBD also acts through numerous receptor-independent channels – for example, by delaying endocannabinoid “reuptake,” which increases the concentration of neuroprotective endocannabinoids in the brain. Spanish scientists, presenting at the 2016 conference of the International Cannabinoid Research Society, compared the impact of CBD and hypothermia (cooling) on newborn piglets deprived of oxygen because of an ischemic injury. Hypothermia is typically the go-to therapy for treating newborn infants after a stroke. But in this animal model, the administration of CBD was more effective than hypothermia in protecting neonatal brain function. Preliminary data suggests that a synergistic combination of CBD and hypothermia may produce the best results. Chronic traumatic encephalopathy (CTE), a particularly severe form of TBI, is caused by the accumulation of numerous concussions, which increases the risk of neurological problems later in life and hastens the progression of dementia. Football players are particularly vulnerable given the violent nature of the sport. After years of official National Football League neglect and cover-up, a cascade of suicide and mental health disorders among former star athletes has generated public attention. So has CBD. The anecdotal benefits of CBD-rich cannabis oil for CTE are well known among football players, boxers, and other professional athletes who are prone to head injuries. CBD, in and of itself, has a unique, broad-spectrum profile that can augment multiple aspects of our innate, endocannabinoid biology. As a single-molecule compound, CBD has delivered impressive neuroprotective results in preclinical experiments. But let’s not forget about THC, given that TBI patients who tested positive for THC did better than TBI patients who abstained from cannabis. The entourage effect is real. CBD works even better when combined with THC and other constituents of the cannabis plant. Beyond CBD and THC, dozens of cannabis components with specific medical attributes interact synergistically so that the therapeutic impact of the whole plant is greater than the sum if its parts. For many TBI patients, it’s late in the game and the clock is ticking. A phytocannabinoid remedy that combines CBDand THC and acts at multiple targets simultaneously would seem to be an ideal therapeutic candidate to treat TBI. Thus far, however, there have been no FDA-sanctioned clinical trials to ascertain the efficacy of whole plant, CBD-rich cannabis oil for traumatic brain injury. And in many places, cannabis is still not available as a legal therapeutic option. • Whole plant cannabis oil. CBD-rich extracts with as much THC as a person is comfortable with. • Terpenes. Cannabis products and strains with beta-caryophyllene and terpinolene. • Diet. A high fat/low carbohydrate/low sugar diet with plenty of leafy greens, omega 3 oils (DHA, EPA), and fermented foods (probiotics). • Nutritional supplements and antioxidants. Magnesium, vitamin D, curcumin, glutathione – and melatonin to restore circadian rhythms and sleep. • Ancient therapies. Acupuncture, exercise, and caloric restriction (fasting), which increase endocannabinoid levels. • Modern therapies. Neurofeedback, low-level laser therapy (photobiomodulation), hyperbaric oxygen, traßnscranial direct current stimulation, flotation tank therapy, and hypothermia (cooling). Martin A Lee is the director of Project CBD and the author of Smoke Signals: A Social History of Marijuana – Medical, Recreational and Scientific. The greater the neurological impairment, the higher the levels of endogenous cannabinoids in response to acute brain trauma, according to a May 2010 report in Lipids Health & Disease. For example, anandamide, a major endocannabinoid, activates the CB1 cannabinoid receptor. Anandamide also confers neuroprotective effects by binding to TRPV1, an ion channel that regulates vasodilation and blood-brain-barrier permeability. CBD binds to the same ionotropic receptor, TRPV1, thereby relaxing blood vessels and enhancing blood-brain-barrier integrity. THC protects against cerebral ischemia in an animal model through a mechanism involving both cannabinoid and opioid receptors, according to a December 2007 report in the British Journal of Pharmacology. Amenta PS, Jallo JI, Tuma RF, Elliott MB. A cannabinoid type 2 receptor agonist attenuates blood-brain barrier damage and neurodegeneration in a murine model of traumatic brain injury. J Neurosci Res. 2012 Dec;90(12):2293-305. doi: 10.1002/jnr.23114. Epub 2012 Aug 18. PubMed PMID: 22903455. Amenta PS, Jallo JI, Tuma RF, Hooper DC, Elliott MB. Cannabinoid receptor type-2 stimulation, blockade, and deletion alter the vascular inflammatory responses to traumatic brain injury. J Neuroinflammation. 2014 Nov 22;11:191. doi: 10.1186/s12974-014-0191-6. PubMed PMID: 25416141; PubMed Central PMCID: PMC4248435. Arain M, Khan M, Craig L, Nakanishi ST. Cannabinoid agonist rescues learning and memory after a traumatic brain injury. Ann Clin Transl Neurol. 2015 Mar;2(3):289-94. doi: 10.1002/acn3.163. Epub 2015 Feb 16. PubMed PMID: 25815355; PubMed CentralPMCID: PMC4369278. Ashton JC, Rahman RM, Nair SM, Sutherland BA, Glass M, Appleton I. Cerebral hypoxia-ischemia and middle cerebral artery occlusion induce expression of the cannabinoid CB2 receptor in the brain. Neurosci Lett. 2007 Jan 29;412(2):114-7. Epub 2006 Nov 22. PubMed PMID: 17123706. Barata L, et al. “Cerebral and extracerebral effects of combining cannabidiol and hypothermia after hypoxia-ischemia in newborn piglets,” presentation at the International Cannabinoid Research Society conference, June 26-July 1, 2016. Biegon A. Cannabinoids as neuroprotective agents in traumatic brain injury. Curr Pharm Des. 2004;10(18):2177-83. Review. PubMed PMID: 15281893. Bittigau P, Sifringer M, Felderhoff-Mueser U, Hansen HH, Ikonomidou C. Neuropathological and biochemical features of traumatic injury in the developing brain. Neurotox Res. 2003;5(7):475-90. Review. PubMed PMID: 14715432. Bravo-Ferrer I, Cuartero MI, Zarruk JG, Pradillo JM, Hurtado O, Romera VG, Díaz-Alonso J, García-Segura JM, Guzmán M, Lizasoain I, Galve-Roperh I, Moro MA. Cannabinoid Type-2 Receptor Drives Neurogenesis and Improves Functional Outcome After Stroke. Stroke. 2017 Jan;48(1):204-212. doi: 10.1161/STROKEAHA.116.014793. Epub 2016 Nov 29. PubMed PMID: 27899748. Butti E, Bacigaluppi M, Rossi S, Cambiaghi M, Bari M, Cebrian Silla A, Brambilla E, Musella A, De Ceglia R, Teneud L, De Chiara V, D’Adamo P, Garcia-Verdugo JM, Comi G, Muzio L, Quattrini A, Leocani L, Maccarrone M, Centonze D, Martino G.Subventricular zone neural progenitors protect striatal neurons from glutamatergic excitotoxicity. Brain. 2012 Nov;135(Pt 11):3320-35. doi: 10.1093/brain/aws194. Epub 2012 Sep 24. PubMed PMID: 23008234. Ceprián M, Jiménez-Sánchez L, Vargas C, Barata L, Hind W, Martínez-Orgado J. Cannabidiol reduces brain damage and improves functional recovery in a neonatal rat model of arterial ischemic stroke. Neuropharmacology. 2017 Apr;116:151-159. doi: 10.1016/j.neuropharm.2016.12.017. Epub 2016 Dec 21. PubMed PMID: 28012949. Elliott MB, Tuma RF, Amenta PS, Barbe MF, Jallo JI. Acute effects of a selective cannabinoid-2 receptor agonist on neuroinflammation in a model of traumatic brain injury. J Neurotrauma. 2011 Jun;28(6):973-81. doi: 10.1089/neu.2010.1672. Epub 2011 Jun 1. PubMed PMID: 21332427. Fernández-López D, Lizasoain I, Moro MA, Martínez-Orgado J. Cannabinoids: well-suited candidates for the treatment of perinatal brain injury. Brain Sci. 2013 Jul 10;3(3):1043-59. doi: 10.3390/brainsci3031043. PubMed PMID: 24961520; PubMed Central PMCID: PMC4061885. Fernández-Ruiz J, Moro MA, Martínez-Orgado J. Cannabinoids in Neurodegenerative Disorders and Stroke/Brain Trauma: From Preclinical Models to Clinical Applications. Neurotherapeutics. 2015 Oct;12(4):793-806. doi: 10.1007/s13311-015-0381-7. Review. PubMed PMID: 26260390; PubMed Central PMCID: PMC4604192. Fowler CJ. Plant-derived, synthetic and endogenous cannabinoids as neuroprotective agents. Non-psychoactive cannabinoids, ‘entourage’ compounds and inhibitors of N-acyl ethanolamine breakdown as therapeutic strategies to avoid pyschotropic effects. Brain Res Brain Res Rev. 2003 Jan;41(1):26-43. Review. PubMed PMID: 12505646. Galve-Roperh I, Aguado T, Palazuelos J, Guzmán M. The endocannabinoid system and neurogenesis in health and disease. Neuroscientist. 2007 Apr;13(2):109-14. Review. PubMed PMID: 17404371. Grundy RI. The therapeutic potential of the cannabinoids in neuroprotection. Expert Opin Investig Drugs. 2002 Oct;11(10):1365-74. Review. PubMed PMID: 12387700. Guzmán M, Sánchez C, Galve-Roperh I. Control of the cell survival/death decision by cannabinoids. J Mol Med (Berl). 2001;78(11):613-25. Review. PubMed PMID: 11269508. Hampson AJ, Grimaldi M, Axelrod J, Wink D. Cannabidiol and (-)Delta9-tetrahydrocannabinol are neuroprotective antioxidants. Proc Natl Acad Sci U S A. 1998 Jul 7;95(14):8268-73. PubMed PMID: 9653176; PubMed Central PMCID: PMC20965. Hampson AJ, Grimaldi M, Lolic M, Wink D, Rosenthal R, Axelrod J. Neuroprotective antioxidants from marijuana. Ann N Y Acad Sci. 2000;899:274-82. Review. PubMed PMID: 10863546. Hayakawa K, Mishima K, Abe K, Hasebe N, Takamatsu F, Yasuda H, Ikeda T, Inui K, Egashira N, Iwasaki K, Fujiwara M.Cannabidiol prevents infarction via the non-CB1 cannabinoid receptor mechanism. Neuroreport. 2004 Oct 25;15(15):2381-5. PubMed PMID: 15640760. Hayakawa K, Mishima K, Nozako M, Hazekawa M, Aoyama Y, Ogata A, Harada K, Fujioka M, Abe K, Egashira N, Iwasaki K, Fujiwara M. High-cholesterol feeding aggravates cerebral infarction via decreasing the CB1 receptor. Neurosci Lett. 2007 Mar 6;414(2):183-7. Epub 2006 Dec 23. PubMed PMID: 17208374. Hayakawa K, Mishima K, Fujiwara M. Therapeutic Potential of Non-Psychotropic Cannabidiol in Ischemic Stroke. Pharmaceuticals (Basel). 2010 Jul 8;3(7):2197-2212. Review. PubMed PMID: 27713349; PubMed Central PMCID: PMC4036658. Hillard CJ. Role of cannabinoids and endocannabinoids in cerebral ischemia. Curr Pharm Des. 2008;14(23):2347-61. Review. PubMed PMID: 18781985; PubMed Central PMCID: PMC2581413. Hind WH, England TJ, O’Sullivan SE. Cannabidiol protects an in vitro model of the blood-brain barrier from oxygen-glucose deprivation via PPARγ and 5-HT1A receptors. Br J Pharmacol. 2016 Mar;173(5):815-25. doi: 10.1111/bph.13368. Epub 2016 Feb 3. PubMed PMID: 26497782; PubMed Central PMCID: PMC4761095. Jennings JS, Gerber AM, Vallano ML. Pharmacological strategies for neuroprotection in traumatic brain injury. Mini Rev Med Chem. 2008 Jun;8(7):689-701. Review. PubMed PMID: 18537724. Martinez-Vargas M, Morales-Gomez J, Gonzalez-Rivera R, Hernandez-Enriquez C, Perez-Arredondo A, Estrada-Rojo F, Navarro L. Does the neuroprotective role of anandamide display diurnal variations? Int J Mol Sci. 2013 Nov 27;14(12):23341-55. doi: 10.3390/ijms141223341. PubMed PMID: 24287910; PubMed Central PMCID: PMC3876049. Mechoulam R, Spatz M, Shohami E. Endocannabinoids and neuroprotection. Sci STKE. 2002 Apr 23;2002(129):re5. Review. PubMed PMID: 11972360. Nguyen BM, Kim D, Bricker S, Bongard F, Neville A, Putnam B, Smith J, Plurad D. Effect of marijuana use on outcomes in traumatic brain injury. Am Surg. 2014 Oct;80(10):979-83. PubMed PMID: 25264643. Panikashvili D, Simeonidou C, Ben-Shabat S, Hanus L, Breuer A, Mechoulam R, Shohami E. An endogenous cannabinoid (2-AG) is neuroprotective after brain injury. Nature. 2001 Oct 4;413(6855):527-31. PubMed PMID: 11586361. Parmentier-Batteur S, Jin K, Mao XO, Xie L, Greenberg DA. Increased severity of stroke in CB1 cannabinoid receptor knock-out mice. J Neurosci. 2002 Nov 15;22(22):9771-5. PubMed PMID: 12427832. Royo NC, Shimizu S, Schouten JW, Stover JF, McIntosh TK. Pharmacology of traumatic brain injury. Curr Opin Pharmacol. 2003 Feb;3(1):27-32. Review. PubMed PMID: 12550738. Schmidt W, Schäfer F, Striggow V, Fröhlich K, Striggow F. Cannabinoid receptor subtypes 1 and 2 mediate long-lasting neuroprotection and improve motor behavior deficits after transient focal cerebral ischemia. Neuroscience. 2012 Dec 27;227:313-26. doi: 10.1016/j.neuroscience.2012.09.080. Epub 2012 Oct 13. PubMed PMID: 23069763. Schomacher M, Müller HD, Sommer C, Schwab S, Schäbitz WR. Endocannabinoids mediate neuroprotection after transient focal cerebral ischemia. Brain Res. 2008 Nov 13;1240:213-20. doi: 10.1016/j.brainres.2008.09.019. Epub 2008 Sep 18. PubMedPMID: 18823959. Schurman LD, Lichtman AH. Endocannabinoids: A Promising Impact for Traumatic Brain Injury. Front Pharmacol. 2017 Feb 17;8:69. doi: 10.3389/fphar.2017.00069. eCollection 2017. Review. PubMed PMID: 28261100; PubMed Central PMCID:PMC5314139. Shohami E, Cohen-Yeshurun A, Magid L, Algali M, Mechoulam R. Endocannabinoids and traumatic brain injury. Br J Pharmacol. 2011 Aug;163(7):1402-10. doi: 10.1111/j.1476-5381.2011.01343.x. Review. PubMed PMID: 21418185; PubMed CentralPMCID: PMC3165950. Tuma RF, Steffens S. Targeting the endocannabinod system to limit myocardial and cerebral ischemic and reperfusion injury. Curr Pharm Biotechnol. 2012 Jan;13(1):46-58. Review. PubMed PMID: 21470162. Vink R, Van Den Heuvel C. Recent advances in the development of multifactorial therapies for the treatment of traumatic brain injury. Expert Opin Investig Drugs. 2004 Oct;13(10):1263-74. Review. PubMed PMID: 15461556. Vink R, Nimmo AJ. Multifunctional drugs for head injury. Neurotherapeutics. 2009 Jan;6(1):28-42. doi: 10.1016/j.nurt.2008.10.036. Review. PubMed PMID: 19110197; PubMed Central PMCID: PMC5084254. Walsh SK, Hepburn CY, Kane KA, Wainwright CL. Acute administration of cannabidiol in vivo suppresses ischaemia-induced cardiac arrhythmias and reduces infarct size when given at reperfusion. Br J Pharmacol. 2010 Jul;160(5):1234-42. doi: 10.1111/j.1476-5381.2010.00755.x. PubMed PMID: 20590615; PubMed Central PMCID: PMC2936031. Ward SJ, Castelli F, Reichenbach ZW, Tuma RF. Surprising outcomes in cannabinoid CB1/CB2 receptor double knockout mice in two models of ischemia. Life Sci. 2018 Feb 15;195:1-5. doi: 10.1016/j.lfs.2017.12.030. Epub 2017 Dec 27. PubMed PMID: 29288767; PubMed Central PMCID: PMC5810406. Zani A, Braida D, Capurro V, Sala M. Delta9-tetrahydrocannabinol (THC) and AM 404 protect against cerebral ischaemia in gerbils through a mechanism involving cannabinoid and opioid receptors. Br J Pharmacol. 2007 Dec;152(8):1301-11. Epub 2007 Oct 29. PubMed PMID: 17965746; PubMed Central PMCID: PMC2189998. Zhang M, Martin BR, Adler MW, Razdan RK, Jallo JI, Tuma RF. Cannabinoid CB(2) receptor activation decreases cerebral infarction in a mouse focal ischemia/reperfusion model. J Cereb Blood Flow Metab. 2007 Jul;27(7):1387-96. Epub 2007 Jan 24. PubMed PMID: 17245417; PubMed Central PMCID: PMC2637559. Zhang M, Martin BR, Adler MW, Razdan RK, Ganea D, Tuma RF. Modulation of the balance between cannabinoid CB(1) and CB(2) receptor activation during cerebral ischemic/reperfusion injury. Neuroscience. 2008 Mar 27;152(3):753-60. doi: 10.1016/j.neuroscience.2008.01.022. Epub 2008 Jan 25. PubMed PMID: 18304750; PubMed Central PMCID: PMC2577828. Zhang M, Adler MW, Abood ME, Ganea D, Jallo J, Tuma RF. CB2 receptor activation attenuates microcirculatory dysfunction during cerebral ischemic/reperfusion injury. Microvasc Res. 2009 Jun;78(1):86-94. doi: 10.1016/j.mvr.2009.03.005. Epub 2009 Mar 28. PubMed PMID: 19332079; PubMed Central PMCID: PMC3319431.